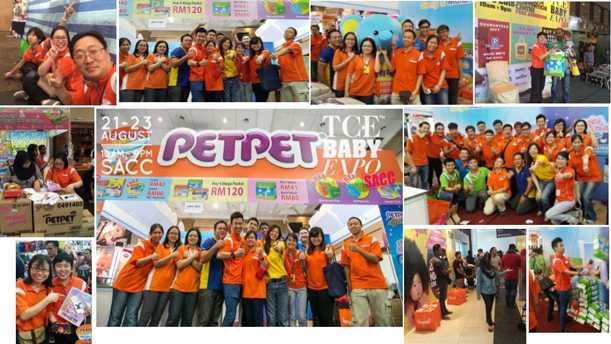 PETPET Malaysia joined mom & baby expo on 21st-23rd Aug 2015 together with the our cute mascots. During the expo, we garnered good responses from fellow mommies and daddies and managed to hit above targeted sales. Samples and attractive goodies were given out. We will be having another round of expo this coming November 2015 in Mid Valley.